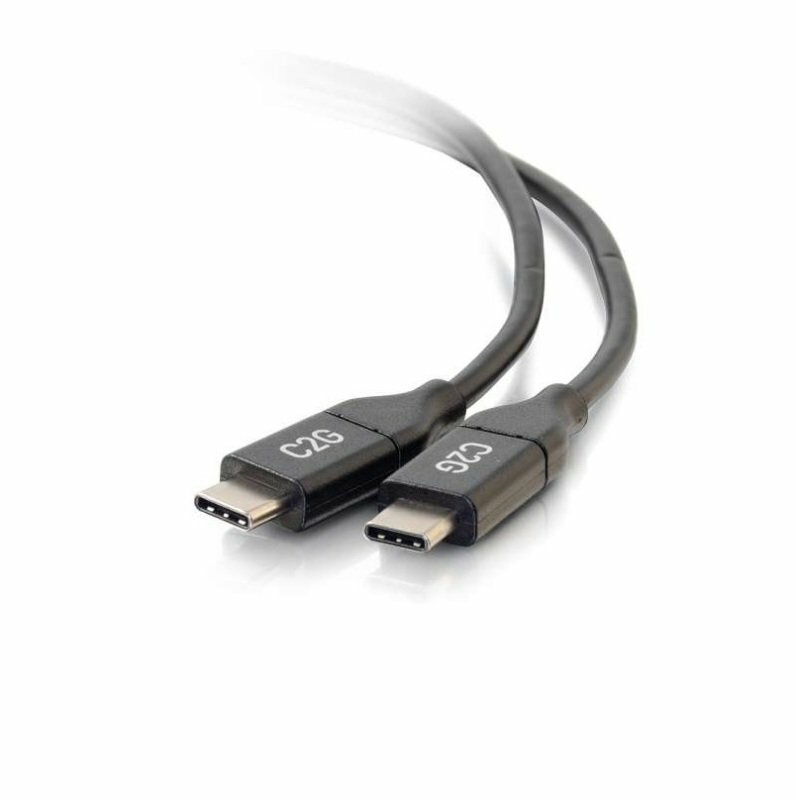 The USB-C to C 2.0 Male to Male Cable is the perfect solution for connecting two standard USB Type C enabled devices or accessories up to 6ft apart for fast charging and high-speed data transfer. This one-cable solution ensures that your USB-C equipped Chromebook, laptop, smartphone or tablet is fully charged and ready to go with the 5A charging output, whilst simultaneously transferring photos, music or data at speeds up to 480 Mbps. 5A of power delivery allows you to charge your mobile devices at even faster rates than with a standard USB 2.0 Cable - making it the perfect solution when on the move. Additionally, the USB-C connector is user-friendly and has a symmetrical design which is identical on both sides, which means it does not matter if you plug it in upside-down or right-side-up - it will plug in the first time, every time, whilst preventing damage to the connector port.